De Waal has advocated a more cognitive approach to the study of animal intelligence, an idea that started a century ago with the observation that chimpanzees solve problems with a flash of insight and share behavior and psychology traits with man. Though originally ridiculed, the cognitive view of animals has grown beyond primates to include the entire animal kingdom, from tool-using crows to cooperating dolphins, which has yielded unexpected and exciting new findings, and led to the science of evolutionary cognition. The central message of this new science is one of mental continuity across all species, with human intelligence being just a variety of animal intelligence. 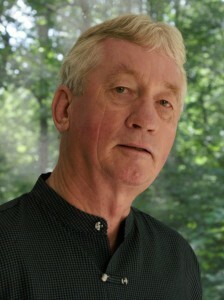 Frans de Waal is the C.H. Candler Professor in the Psychology Department of Emory University and the director of the Living Links Center at the Yerkes National Primate Research Center in Atlanta. He is also a distinguished professor at Utrecht University in The Netherlands. The annual Norman Fries Distinguished Lectureship series began in 2001, and is funded by an endowment in honor of the late Norman Fries, the founder of Claxton Poultry. In his more than 50 years of business, Fries built the company from a one-man operation into one of the largest poultry production plants in the United States. Past Fries lecturers include David Oreck of Oreck Vacuums, South African apartheid author and lecturer Mark Mathabane, NASA director James W. “Jim” Kennedy, author and historian Gordon S. Wood, Nobel prize-winner Dr. William D. Phillips and most recently, best-selling author Susan Orlean.